Midnight Crew Subs Releases Kamen Rider Kuuga v2! 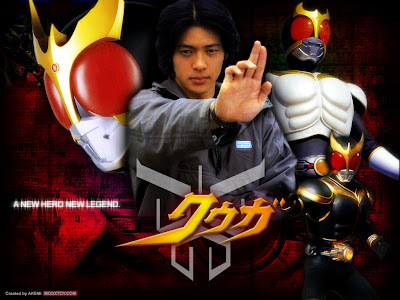 From the cool guys who ended the "Kuuga Curse" comes Kamen Rider Kuuga v2! Why did they release a second version? That is because the first version has timing issues and what's more, is that the new releases also includes the Grongi language, translated! Just a warning, those scenes contain a lot of foreshadowing or spoilers on what will happen to the series later on.